"How long are you gonna be petty?" Forever. 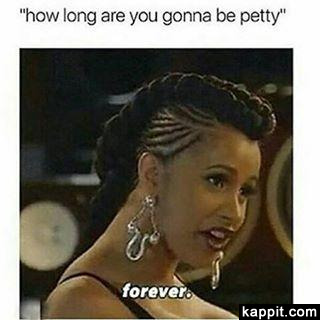 "How long are you gonna be petty?"